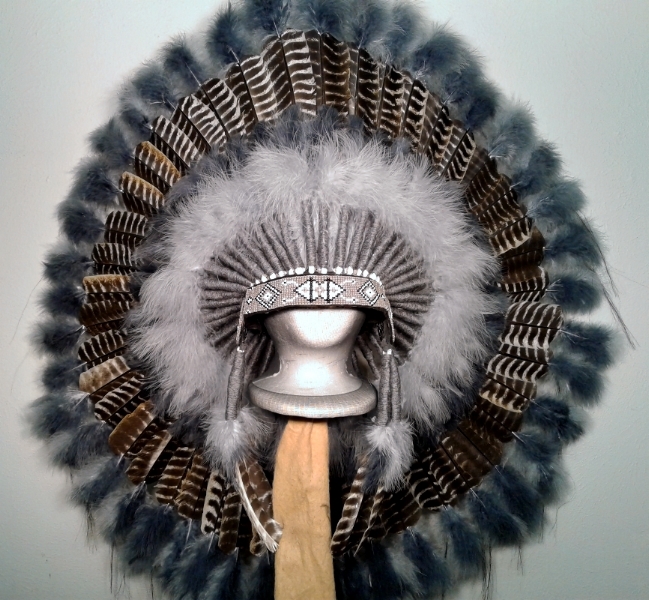 The SPIRIT EAGLE WAR BONNET in GREY is made using genuine barred turkey main feathers tipped with 2-tone grey feather fluffs & genuine horse hair. 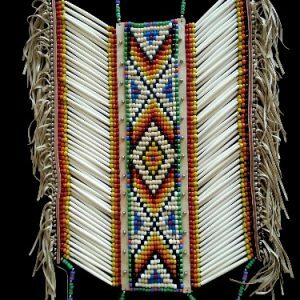 Horse Hair represents good luck to most Native Americans. 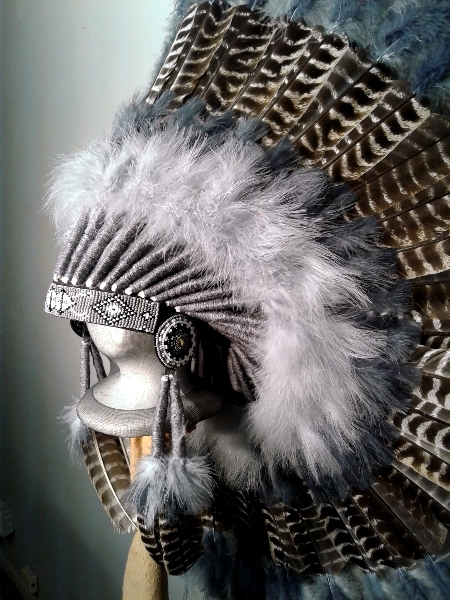 The feathers bottoms are wrapped in grey wraps & hand sewn onto a felt skull cap which is covered in matching fluffs. A single decorated honor feather is positioned in the crown of the skull cap in the back of the bonnet. A thick row of 2-tone grey feather fluffs are aligned on top of the wraps. 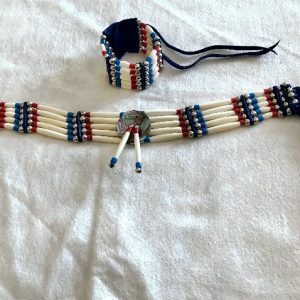 The brow band & matching rosettes are beaded & sewn by hand. 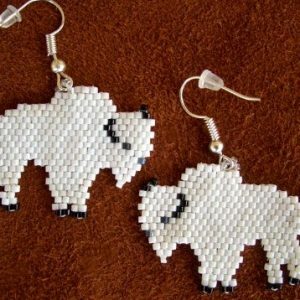 Beading colors & designs will vary. Barred Turkey feathers are wrapped & decorated with matching color fluffs & used for drops on either side. 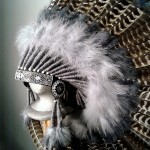 Display this awesome headdress with your collection or wear with your regalia. One size fits all(adults). Youth bonnets now available ! Pictures are representative. If not in stock when ordered, it may take up to a week to complete before shipping. Display stand sold separately. 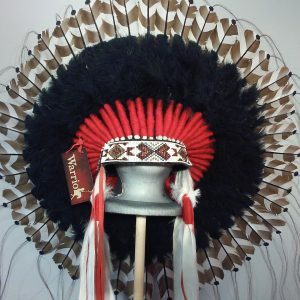 ALSO AVAILABLE AS YOUTH BONNET, DOUBLE TRAILER & RIDING WAR BONNET !! Call For Details !